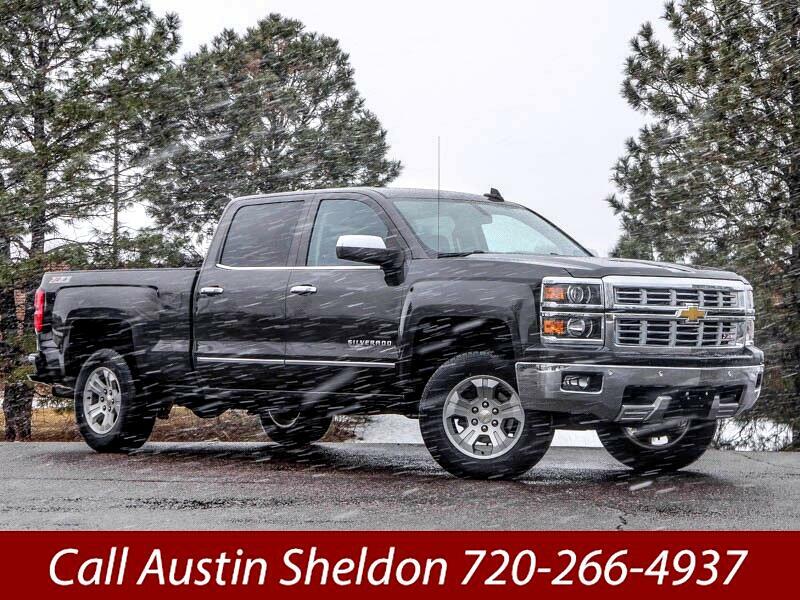 Used 2015 Chevrolet Silverado 1500 LTZ CREW CAB 4WD LONG BOX Z71 for Sale in Littleton CO 80120 JFR & Associates, Inc.
You'll love all the space this Silverado provides you and your passengers. The V8 engine comes with plenty of power for work and cruising down the highway. Merging in and out of traffic is a breeze. The cabin offers comfort and is built with high-end materials that are designed to provide many years of excellent service. This full-size pickup comes with an array of options: heated seats, leather seats, Bluetooth integration, backup sonar, a backup camera, memory seats, navigation, Satellite Radio, tow package, plus lots more to make your driving experience more enjoyable. Contact us today and schedule a test drive and find out why this Chevy Silverado is America's number one pick in a full-size truck. Call Austin Sheldon at 720-266-4937 if you have any questions or if you would like to schedule an appointment to see this vehicle.